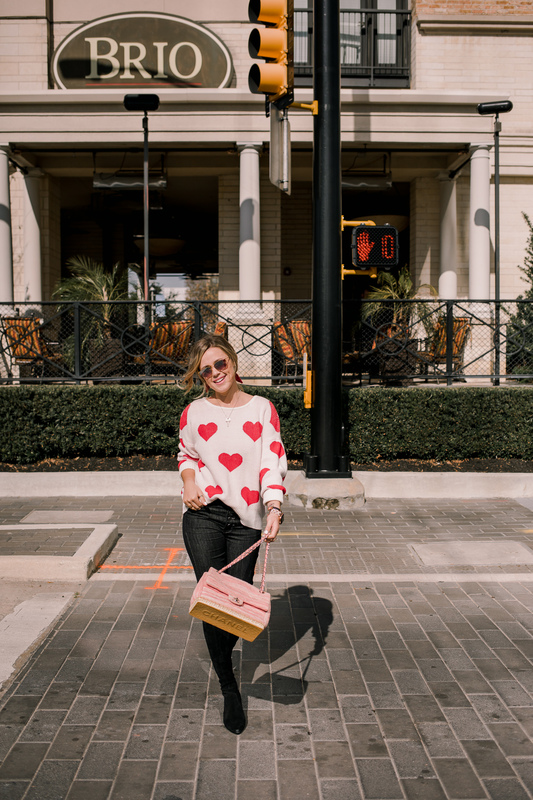 I wore this heart sweater today, and SO MANY of you asked details and I thought I would throw up a quick blog post on allll the cutest heart sweaters (all different price range) for you! Below you will find over 20 heart sweaters to get you in the mood for Valentine’s day. FYI- Chichwish also has some really cute sweaters and new Valentine’s items. I would check them out as well.